Happy New Year everyone. May 2014 be delusion free. An ‘incredible journey’ through Mormonism. A new book, by Bob Bridgestock, released today, is available from Amazon and all major outlets worldwide. I had the opportunity to read it pre-publication, courtesy of the author, Bob Bridgestock. The following review is unsolicited and provided in genuine response to Bob’s work. (At the time of writing, Amazon has not yet enabled reviews for this book). “Bob’s description of his early life is beautifully written and at times even poetic; his later description of the attitude of Mormon leaders toward members who ‘question’ is accurate as well as eloquent. I found this book an interesting, engaging, informative (and easy) read. We were both Mormons from our teens through to our late fifties, and both married to our first wives for similar periods of time before they died from the results of breast cancer. I relived the experience of my first wife’s long fight, her ultimate untimely death and my own trauma, reaction and road to recovery which mirrored Bob’s description of his own sad and similar experience. I too was having doubts, but mine were about the whole idea of god, never mind just Mormonism. None of my doubts, and clearly none of Bob’s doubts, were related to the deaths of our wives. It is just a part of life and it happens. I could readily understand Bob’s attempts to pray and study more, as I had done the same, and I recalled the day when I later finally closed the Book of Mormon for the last time in a flood of tears, ‘realising’ that nothing about the Church was true. As Bob described it, “I was enough in myself.” The only subsequent difference between us was that Bob was excommunicated for expressing his doubts while I resigned membership over mine. The resulting ‘paradigm shift’ which Bob describes is something one has to experience to fully appreciate. Bob’s ability to explain and expose the way the Mormon Church treats and controls its members is impressive. His coverage of Mormonism’s ‘gymnastics’ regarding scripture is very well presented and “…the Mormon Church tortures the Bible to make it fit the Church’s doctrines” says it all really. This is an excellent book ‘about’ Mormonism and ones man’s experience of it. It is a wonderful read, and as he tells his own story, Bob intertwines some of the history that the Church would rather forget. Presumably because it is not a book about ‘evidence’, and he felt it unimportant, Bob fails to provide direct source references for most of his historical claims, such as Smith having thirty-four marriages, some of which were polyandrous, and that “…in 19th century Mormonism, 20% to 30% of families were polygamous”, which are often mentioned almost in passing. You have to take the validity of such statements as read most of the time. I am happy enough with that, but some readers (particularly believing Mormons), may criticise this and not accept some statements without the underlying evidence being cited. However, I can confirm that everything is indeed entirely accurate, and I know where the source references can be found, as they are all given in my own books on the subject. The doubting reader can be assured of Bob’s accuracy without worrying about where he got his information from, and the not so familiar ‘non Mormon’ reader can feel reassured that Bob really knows what he is talking about. Book of Mormon Translation. You couldn’t make this stuff up! No, wait, yes you could; and in the fourth such statement, the Church officially (implicitly) admits that there was no point to the gold plates, which Smith didn’t even look at whilst supposedly ‘translating’ them. Remember, a man (Laban) was allegedly murdered to obtain the brass plates, some details from which are purported to have been included on the gold plates… which were then completely ignored during Smith’s now fully acknowledged ‘folk-magic’ translation process. Why murder someone when the Mormon god could have had Lehi find a ‘seer stone’, just as Smith claimed to do, and (assuming he had a hat), Lehi could have simply rewritten details from the brass plates without looking at them, rather than have someone killed in order to obtain them. “…like others in his day…” is somehow supposed to excuse Smith for being a confidence trickster. Because others used the same con-trick, Smith is to be excused… What nonsense – and just how gullible does the Church consider its members really are? They don’t mention Smith’s 1826 arrest and conviction for being a money-digging con artist, six years after supposedly having a ‘first vision’ of deity, and three years after his claimed visions of Moroni (or Nephi – take your pick). Smith does not qualify as someone any god would deal with in the real world – and that is a proven fact. Lo and behold, Smith’s latest con… a new religion – like a rabbit – straight out of his hat! We were raised on the concept that Smith literally looked at the plates in order to translate them. He had to – didn’t he? Otherwise it is a nonsense. Any other method negates the very need for plates altogether. If Smith had claimed, at the time, to ‘magically’ translate a book with his head in his hat, without ever mentioning any plates, would anyone have believed him? Of course not; the pretend plates were an essential part of the con. Almost two centuries later, we learn the truth and members are now expected to accept it without question. But question it they should – and then reject it! The Church continues to selectively admit previously hidden truths, hoping to satisfy Mormons who have serious questions. If they have any sense, members will see through this scam and realise that those who have been trying to tell them it was a hoax were right all along. Admitting the truth after almost two centuries doesn’t make the past any less of a lie. “Everything is still smoke and mirrors – and nothing, nothing, about Mormonism is at it first seems, or at least as first taught.” (Jim Whitefield, ExMormon Foundation Conference, 2010). Testimonies that are built on a fabric of lies are completely worthless. Time to resign – if you haven’t already. LDS ESSAY: Book of Mormon Translation. (TMD Volume 1 already covers this subject extensively. Notably, polyandry is conveniently completely ignored. After all, it always was, and still is, contrary to doctrine; something the Church confirmed to me personally, adding, “…those who participated would have to account for it.” Smith, Young and Kimball therefore completely forfeit their eternal salvation – doctrinally speaking). LDS ESSAY: First Vision Accounts. (I have already provided comprehensive coverage of this. See ‘The First Vision‘). LDS ESSAY LINK: Race and the Priesthood. I wrote about this during September 2013 and provided extracts from TMD Vol. 2. The resuling article is available here: ‘Black and Cursed‘. In trying to somewhat get away from all things Mormon and lead a more ‘normal’ life (and being retired), I spend a lot of time enjoying books and documentaries about science and nature. I also enjoy gripping works of fiction and have just read Dan Brown’s latest offering, ‘Inferno’, which I can highly recommend. One statement from a character in the book struck me as the very essence of the adult Mormon psyche. The book (and the statement), has absolutely no connection with the Mormon Church whatsoever, but it made me stop and think, and realise, that this was me for many decades; and it continues to represent the mindset of millions of others who are still trapped in the delusion that Mormonism represents the ultimate truth, when in reality it is an easily provable hoax, perpetrated by Joseph Smith in a conspiracy of lies, with which Church leaders continue to deceive the faithful today. “…most adults seemed like nothing more than aging children, lacking even the most basic understanding of the world around them, and, most troubling, lacking any curiosity or concern about it.” (Inferno, p.349). Meanwhile, in other news, the Church is changing tactics regarding proselyting. The Mormon god is moving in even more mysterious ways; he has reportedly found a “better way” to proselyte, as his old system continues to show decline in conversion ratios. From a money.msn.com article. [Since deleted]. My own prediction is that the effects of temporarily swelling the Mormon missionary ranks, bolstering them by reducing the missionary age from 19 to 18 for men and from 21 to 19 for women, will be short lived and the numbers will inevitably fall back to below the 2002 figure of 61,600 by 2016-17 (unless they invent other strategies, such as extending the missionary term). The Mormon god’s (or at least the earthly analysts and PR crew who concoct new ideas), new ‘method’ of proselyting is unlikely to proportionately increase conversion figures, as those contacted through the internet also have the knowledge, skills and ability to search out the truth in a few easy clicks, whilst many who are contacted by door-knocking or in the street may be less inclined (or perhaps not even have the facility) to do so. As always, time will tell, but all the evidence suggests Mormonism is becoming less and less popular with members who are leaving in droves and investigators who are not joining. The Church is slowly dying and there are no measurable signs of recovery. This latest strategy will be a short lived desperate episode in the death throws of a small and insignificant cult. My old friend, Simon Southerton (author of ‘Losing a Lost Tribe: Native Americans, DNA, and the Mormon Church’), updated his blog on DNA and lost Lamanites during May and it is well worth reading. Previously, apologists tried to rationalize Simon’s findings, but now there is no hiding place. So, where are those elusive Lamanites? Nowhere. Absolutely nowhere! During March, I updated information about The Mormon Delusion Volume 5 content and summary analysis. It includes comments on the Church updated and republished 2013 ‘Doctrine and Covenants’ which has seen a number of changes. Links to Church provided details of the changes are included. These will be posted in May. 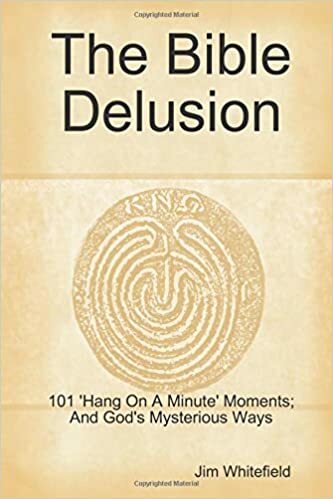 Added endorsements also now appear for The Mormon Delusion Volume 1 and Volume 2, kindly posted to Amazon and Lulu by Mike Oborn, author of ‘The Complete Mystery of Matthew Alcott: Heritage of Secrets’, an excellent semi-fictional story that involes the Church. With the Pope abdicating, something which last happened some six hundred years ago, it made me wonder if ever the Mormon Church will turn to the use of emeritus status for its own prophet (or apostles) when they become senile or otherwise incapable of adequately running the multi-billion dollar corporation; something which has already happened on several occasions and which they always cunningly try to hide. The most prominent example of such a case was the prophet, Ezra Taft Benson, details of which were fully exposed by his grandson, Steve Benson. As the Mormon god doesn’t ensure that his prophets enjoy good mental health along with longevity, it would make sense for them to ‘retire’ when things become too much for them, but at present the Church stumbles along, stuck in its antiquated ways set in motion by early leaders who were ordained at earlier ages and served for much longer. Emeritus status is currently awarded to all Mormon leaders below that of Apostle who serve for life. Indeed, the very ‘election’ of a new prophet (although not set in stone) is traditionally the next longest serving apostle, ensuring future prophets are always already elderly when ‘called’. What is to happen when (not if) the next apostle in line to become prophet is already suffering from dementia when his turn to be prophet comes along? The Mormon god will no doubt have to move in yet another ‘mysterious way’ and change the system. It would make no difference, as their god apparently stopped communicating with his prophets long since, as openly admitted by the late prophet, Gordon B. Hinckley. (See: San Francisco Chronicle. Don Lattin interview with Gordon B. Hinckley. 13 Mar 1997 and The Mormon Delusion, Vol. 4:121-2). All they now get is ‘feelings’ – and we all get those; they can be very unreliable and often deceptive.